A unique process, industry experience and a passion to sew and create inform Catherine’s teaching on every level. She understands both the beginner and advanced level student, can explain and demonstrate a wide range of sewing technique and inspire creativity. Catherine’s passion for sewing spans most of her life. Although she went to college to study engineering, she soon transferred to FIT in New York City where she studied pattern making – something that made sense to her from an ‘engineering’ brain but also let her express her creativity. After graduating Catherine went to work in the fashion industry, gaining extensive experience at labels such as Linda Allard for Ellen Tracy, J.Crew, and The Limited. She became an expert pattern maker, working directly with designers creating patterns from sketches. She then advanced to become a technical designer using her pattern making and fitting skills to work directly with the overseas factories. Throughout her fashion career, Catherine made custom clothing for her own clients then switched her focus to design her own clothing line, Reversibility. Catherine expresses herself through poetry, a process she finds strangely similar to garment creation. She also is inspired by running and biking: movement sparks her desire to create. In 2012 Catherine ran a triathlon and in 2013 the New York City Marathon while raising money for cancer research. 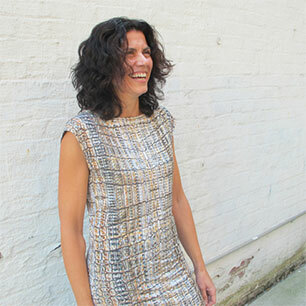 Gina Berka is the studio manager and an assistant teacher at Brooklyn Stitchery. 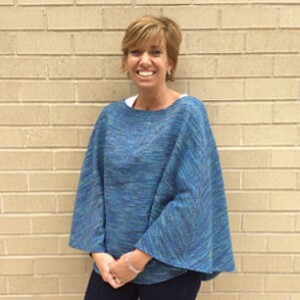 Over the years Gina has been a key promoter for the Reversibility line and has participated in the Reversibility Fashion Show. When Catherine decided to open her studio to the public for classes, Gina was instrumental in setting up the studio and creating systems to keep the studio running smoothly. Catherine began training Gina as an assistant teacher early on, ensuring to keep Brooklyn Stitchery’s philosophy of unique process, mastering skill and creativity in the forefront. Gina loves fashion and is a people person so she is a natural for her duties in the studio. And just in case anyone gets stuck with a pin at Brooklyn Stitchery, Gina is a registered nurse. “I’m originally from Toronto, Canada but relocated to Brooklyn for love. Love also brought me to Brooklyn Stitchery where I used studio share to make my wedding dress two days before my wedding day! Catherine and Gina create an atmosphere at Brooklyn Stitchery that is so warm and welcoming and allowed me to complete my dress in a calm environment, during a very stressful time. 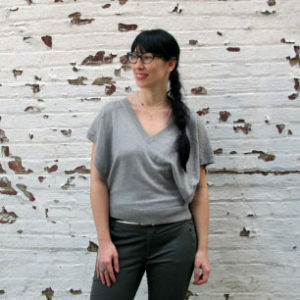 I am now part of the Brooklyn Stitchery Family teaching Pattern Drafting Workshops. Vanessa’s love for fashion, design and sewing propelled her to study Fashion Design, graduating from International Academy Of Design and Technology. 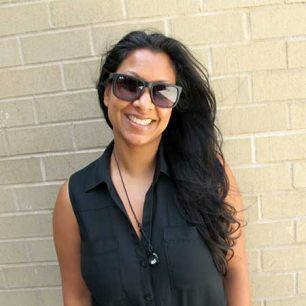 After graduating, Vanessa was hired as a fashion instructor at the Academy of Design at RCC where she developed and taught 3 curriculum courses: Gerber Accumark (pattern drafting on computer) to fashion design students, as well as Fashion Psychology; and Image Consulting & Styling to fashion marketing/merchandising students. Vanessa designed women’s apparel for a local Canadian designer and for private clientele; and designed costumes while assisting in the production and styling for high-end fashion charity/fundraising events.